With the January slump over now is the time to look forward to your travels in 2016. If you are after a short break or full family holiday, P&O Ferries’ Dover to Calais service can get you there. Here we are going to take a look at what you might need to know when booking your trip this year. The Port of Dover is a 70 mile car journey from London, using the M20 on to the A20 at Folkestone, from there it’s just a short drive up the coast. There’s also the option of using the M2 on to the A2 which will grant you the option of passing through Canterbury. Should you wish to get to the Ferry by train then it will take about an hour from London to Dover Priory Station via HS1. From there it is a 25 minute walk to the port, there are taxis available as well as car rental services. The De Bradelei Wharf on the waterfront is a excellent spot for you to pick up any of those last minute necessities or to have a look around before boarding. If you’re coming a long way a final rest before you make the crossing is easily done. Book accommodation at the Spa, Dover Castle or a Premier Inn, there’s plenty of choice you could even go local and take a room in one Dover’s B&B’s for something a bit more homely. Click here for more information on Dover Port Facilities . There are five P&O Ferries currently making the 90 minute crossing from Dover to Calais: the Spirit of Britain, Spirit of France, Pride of Canterbury, Pride of Burgundy and the Pride of Kent. They run almost none stop so you can catch one roughly each hour. If your schedule is a bit fluid then consider purchasing a Flexi-ticket which will give you more options should you need to alter your booking. Saver: This is for your basic crossing offering the best value, provided you travel as booked this ticket is deserving of its namesake. Standard/Full Flexi: These tickets offer some flexibility when you travel. Be it traffic, weather or anything else you’ll be well prepared with one of these tickets. The Standard Flexi allows you to make changes to your booking without charge, same with the Full Flexi provided the registered car is the same. Both Flexi Tickets are refundable, the standard version grants you +/-4 hours from your booking time, should you arrive early or late; with the Full Flexi you can depart at your leisure on the date booked. Flexi Tickets also entitle you to 30 minutes free Wi-Fi on one device, more than enough for a 90 minute trip don’t you think? Premier Tickets: Grant you all the benefits of a Full Flexi ticket with Wi-Fi for the duration and access to the Club Lounge. Club Lounge: A purchasable addition to your voyage to make things run all the smoother. For as little as an additional £12 you’ll get the best views and seating, a complimentary glass of champagne or soft/hot drink served by one of the stewards. It adds a bit of luxury to your journey, perfect if you wish to unwind or travel without the crowds. Club Lounge clients have access to an exclusive menu as well as priority boarding. If you and kids have your eyes set on Disneyland Paris then it’s 186 miles, roughly 3.5 hours non-stop by car, most of which is a straight drive south on the A26 then A1. Have no fear this journey is well sign posted as the major route to the French capital. 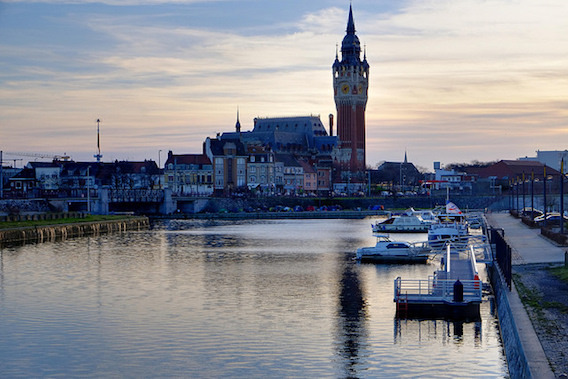 Those of you in no hurry to head south should take some time to enjoy Nord-Pas-de-Calais. 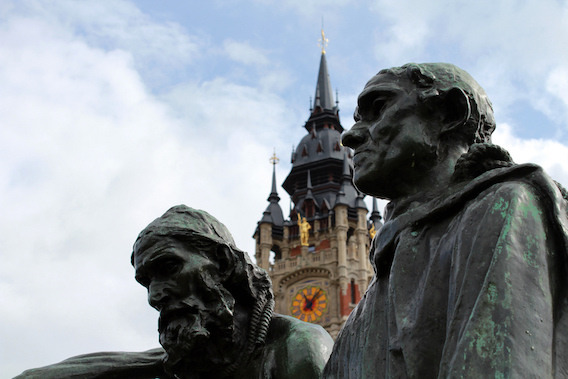 There are some worthy sights, Auguste Rodin’s Burghers of Calais statues have wholly different connotations in France in comparison to standing before casts outside the Houses of Parliament. The fortress church Eglise Notre-Dame de Calais and Tour de Guet a 13th century watchtower are landmarks so easily missed by many who view Calais as a mere port city, the entrance and exit of France. We highly recommend you to stick to these totals and familiarise yourself with HMRC guidelines. If you intend to use a credit card it’s best to forewarn your distributor since fraud rates have gone up shops are being more careful, if you’re at the till it’s best to know who to call before hand should you run in to difficulty. Wine and beer distributors can easily be found in directories so shop about for the best deals, you can go further afield than Calais, but there’s not much need to if you’re on a P&O Ferry Day Tripper ticket. 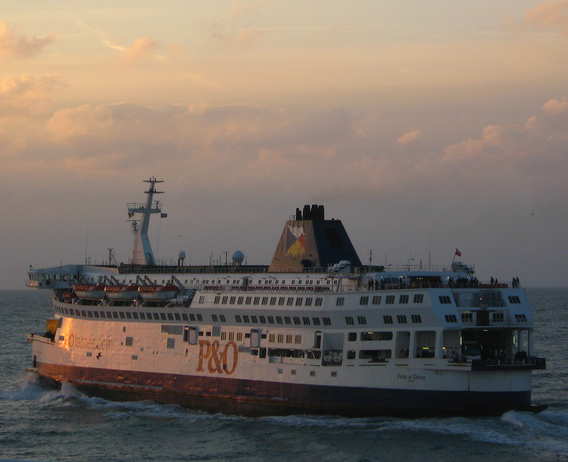 Safe travels for 2016, book now for passage to Calais with P&O Ferries!